After long time a good news comes to pakistani players, that the Pakistan Government has agreed for participation of Pakistani Players in IPL. For that reason, Pakistani Players may be seen in the list of Indian Premier League (IPL) auction who have missed last two auctions of IPL. A spokesman for the Pakistan foreign ministry explained that the decision of allowing the cricket players for the IPL is based on political pressure between the two neighbor countries. However, an IPL official told to the PCB (Pakistan Cricket Board) that they had not revealed any names for the January auction. AFL official said, "The rules stipulate that a player must apply through his home board if he wanted to be put up for the auction. No names were received from Pakistan." Previously, Pakistan players were affronted for the IPL. 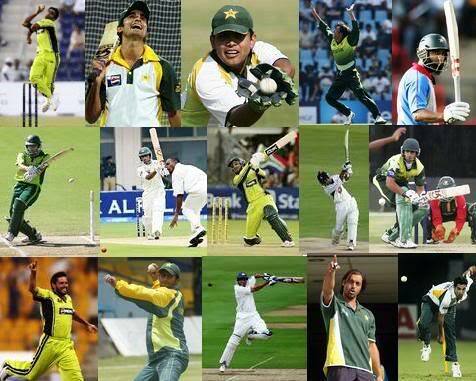 In the current auction list of the 416 cricketers, no Pakistan players have been seen. Officially, the IPL auction will be on January 8-9 at Bangalore for the fourth edition of the Twenty20 tournament and the matches will start in April and May. At the starting of IPL in 2008, the Pakistan players got chance to take part. But in the 2009 edition due of security concerns after consequence of the Mumbai attacks, the players missed out it. Then, in the year 2010, they were ignored for the IPL tournament 2010 because most of the players of the 2009 World Twenty20 winning team were already on the list of IPL auction. In spite of not getting any response from BCCI (Board of Control of Cricket in India), PCB is exciting to send their players to India for the lucrative event. The PCB claims that they would like their players will participate in the IPL tournament and the chief operating officer of board, Subhan Ahmed said to reporters in Karachi, "The PCB stance is simple: we want our players to participate in the IPL. We have on our own tried to contact the IPL to find the actual status. This was last week but we have yet to hear from them." A spokesman of Pakistan’s foreign ministry, Abdul Basit said to The Express Tribune, "We don’t decide on giving clearance to sportsmen on the basis of political tensions between the two countries. It sends out a wrong message. Pakistan didn’t have any problems in sending players to India. We’re only concerned with the safety of our players." The details of the Pakistani news said that the BCCI is not willing to take any Pakistani players and the Board also trimming its auction list from 416 to 350 excluding them.